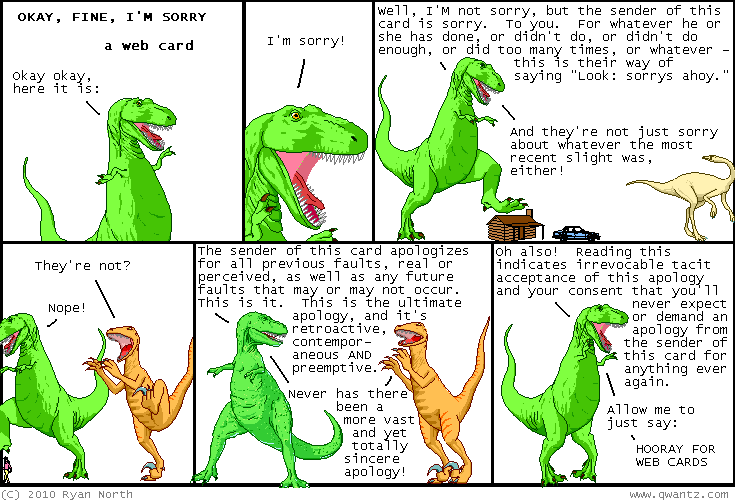 Dinosaur Comics - May 13th, 2010 - awesome fun times! –However, THESE zombies were different! May 13th, 2010: Thank you for reading my comic today!! One year ago today: on the plus side, there WAS a time in our history when we all walked around threatening to pheeze each other. that's somethin'!